Just a few years ago, it was enough to have a simple static website to justify your web presence. Gone are those days. Now if you have just a simple static page, you wouldn’t stand out among your competitors, you need to add more features to differentiate yourself. You need to design a website that looks and feels good and is capable of attracting a good number of viewers to it. Wix Editor is one of the best options when it comes to building websites quick and fast. Though it provided so much customisation options right from the editor, you can’t add interactive elements to it. They’ve now fixed it with their new offering, Wix Code. in this article, we will be discussing in detail about the features and abilities of Wix Code. Creating dynamic pages compared to the static offering before. Collect information from users using input tools. API abilities. They have curated Wix APIs as well from third parties. There are so many features that comes with Wix Code and it improves your web development experience greatly. Though it provides larger control over your web apps, it doesn’t involve much coding, unless you choose to. You can add all these elements without having to do much coding as well. If you are not familiar with web development or coding, do not worry. Wix was created with an intention to help people who do not have the technical know how. Wix Editor helped people to build websites with just a few clicks. 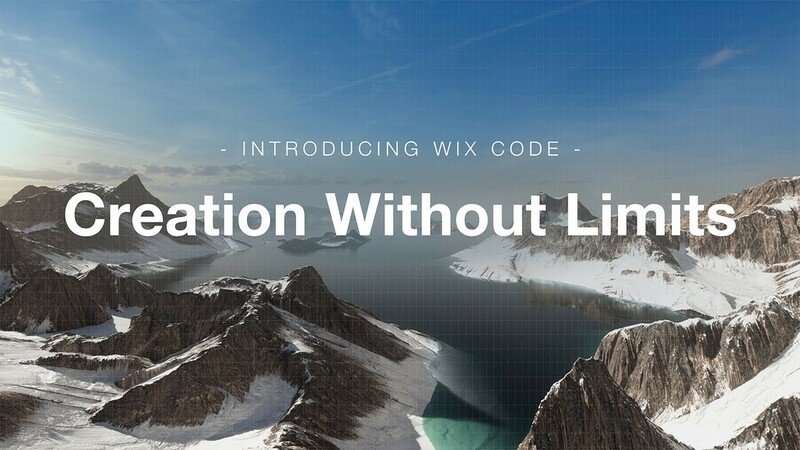 Now, Wix Code will help people in the Wix Ecosystem to add more features and improve the functionality of their websites without having to learn complex programming languages. Wix Code comes with so many features to extend the functionalities of your websites and make it a lot more useful. You can also make the websites a lot more attractive and interactive as well with the help of the new added features. Let’s take a deeper look at the offerings. Database Storage and Retrieval: if you need to save customer data for processing and for future use, you can do so now through your website. Wix Code provides features like Database collections so that now you can keep all the important data and necessary info on your database. The database also provides unlimited storage and secure retrieval.The databases are also SEO optimised for better search rankings. Dynamic Pages: Dynamic pages can now be created right within Wix. Making use of the database feature in Wix, now you can create a wide variety of pages with just one template. All the dynamically created pages will be SEO optimized as well and according to your requirement. Forms for Getting Custom User Input: if you want to make your website interesting for people and want them to suggest it to your friends add well, you need to spice it up a little. You can spice it up by making the website a lot more interactive and attractive. For this, you will have to use different elements like application forms, reviews, and quizzes. With these, you can make your website a lot more creative and at the same time, collect information from user as well. This will help you to customise your offering to meet their needs. Wix helps you to create such options. APIs: APIs are best ways to extend the functionality of your website. They help you to integrate other services or specific features of other services. Wix offers a curated list of internal APIs to access services like YouTube, Facebook, Twitter, IFTTT and so on. There is also the ability to integrate other third party APIs as well without having the slightest idea about coding. Considering all the points mentioned above, Wix Code can be considered a good progress to the Wix Lineup. I hope this article helped you to learn about Wix Code and its potential. If you have any doubts regarding it, let us know through the comments and we will be more than happy to guide you on the right direction.